Public international law applicable to counter-piracy operations by states is complex and fragmented. In addition, private security service providers are increasingly being used for the protection of vessels against piracy and armed robbery at sea. 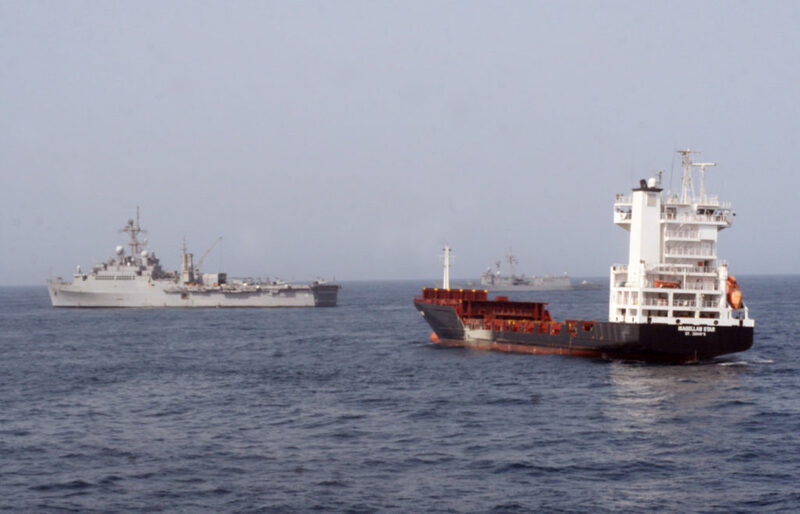 Given that their rights and obligations under international law differ to those of states, how can they effectively contribute to repressing piracy while fully respecting international law and norms. This conference follows on from one held in June 2009 in Nyon, Switzerland, to discuss among major stakeholders whether and how to codify standards for the operation of all PMSCs in compliance with human rights and international humanitarian law. A consensus was reached to do so, and The International Code of Conduct for Private Security Service Providers was launched for signature in November 2010. The conference explored whether an addendum to this Code is needed to cover counter-piracy measures, whether a separate Code is needed, or if the normative framework for counter piracy applicable to states and private security service providers is adequate. The main challenges to tackling piracy are said to be on the national level, and include the need to criminalise piracy in domestic legislation in any jurisdiction which has not yet done so, and to increase the political will to prosecute and incarcerate pirates. Obtaining and preserving evidence for possible prosecutions as well as the post-trial transfer of convicted pirates are analogous challenges. Yet, despite these acknowledged obstacles to tackling piracy, raising the necessary funds to support such prosecutions and subsequent imprisonment, as well as to address underlying poverty and lack of work in Somalia, has proved difficult. With regard to private security companies the key challenges relate to ensuring greater clarity with regard to the use of force and procedures for detention (should that situation arise), as well as developing a coordinated response among states which addresses the movement of guns through territorial waters and the safe keeping of guns and ammunition in port. There is general agreement, however, that the solution to piracy off the coast of Somalia is to be found on land within Somalia.